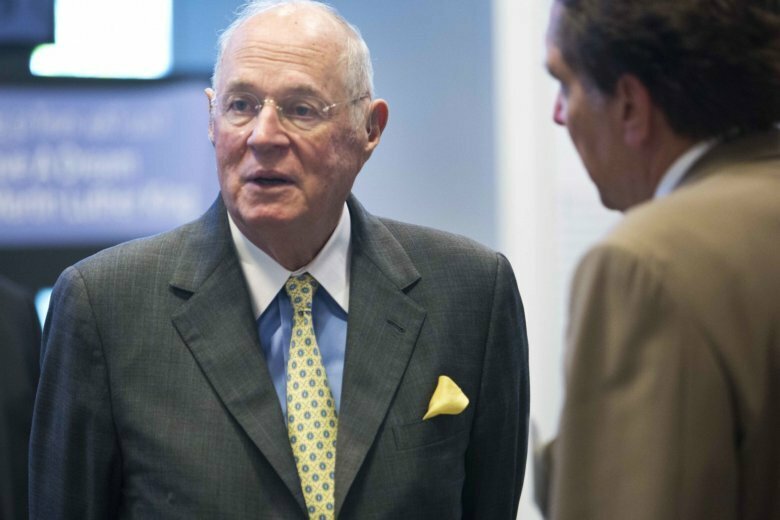 SACRAMENTO, Calif. (AP) — Former Supreme Court Justice Anthony Kennedy, whose retirement created the vacancy that produced the no-holds-barred confirmation fight over Brett Kavanaugh, said Friday maintaining civil discourse is critical to democracy’s survival. Kennedy never spoke directly about Kavanaugh, who was once his law clerk, or the bitter battle unfolding in Congress. But it was on the minds of his audience, a group of high school students and teachers who said civil discourse isn’t what they’re seeing in Washington. Kennedy’s appearance in Sacramento, his hometown, was to celebrate Constitution Day and teach high school students about the importance of understanding the document. He did not take questions from the audience or the press, saying he was “very careful” not to comment on the Kavanaugh nomination. Kennedy announced his retirement from the high court in June, offering President Donald Trump a chance to appoint a second conservative justice and tipping the balance of the high court. Kennedy was often viewed as the court’s swing vote. During remarks, he offered his thoughts about the troubles befalling democracies around the globe from Africa to South America. America spent the end of the 20th century proudly exporting democracy around the globe, but perhaps did not focus on how to maintain it, he said. Ellen Wong, a government teacher at the Sacramento high school Kennedy attended, said it’s hard to teach her students’ civil discourse in today’s political environment. Everett Turley, a student at another high school, put it a different way. Turley, who is 17, won’t be eligible to vote in November, but he said he prefers not to identify with either political party. His classmate Marley Fortin, also a senior, said she was disappointed by the partisan tone of Thursday’s Senate Judiciary Committee hearing, when Kavanaugh and one of his accusers, Christine Blasey Ford, testified. “There’s no compromise on any side,” she said. Kennedy, for his part, urged the students to keep studying the Constitution and passing it on. “You have to transmit it to the next generation,” he said. This story has been corrected to show Everett Turley’s last name is spelled Turley, not Turle.